One summer in the 1980s, theoretical physicist F. David Peat went to a Blackfoot Sun Dance ceremony. Having spent all of his life steeped in and influenced by linear Western science, he was entranced by the Native American worldview and, through dialogue circles between scientists and native elders, he began to explore it in greater depth. 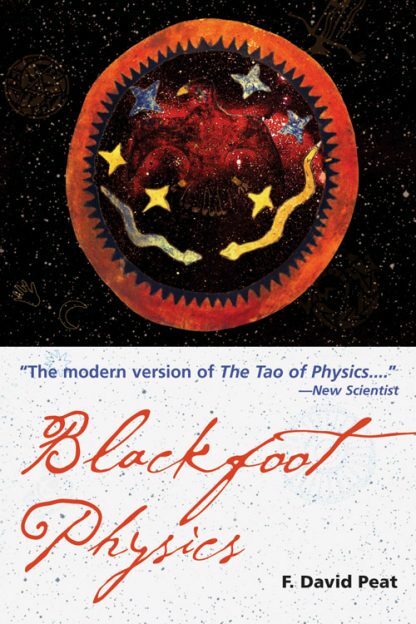 Blackfoot Physics is the account of his discoveries. In an edifying synthesis of anthropology, history, metaphysics, cosmology, and quantum theory, Peat compares the medicines, the myths, the languages�the entire perceptions of reality of the Western and indigenous peoples. What becomes apparent is the amazing resemblance between indigenous teachings and some of the insights that are emerging from modern science, a congruence that is as enlightening about the physical universe as it is about the circular evolution of humanity�s understanding. Through Peat�s insightful observations, he extends our understanding of ourselves, our understanding of the universe, and how the two intersect in a meaningful vision of human life in relation to a greater reality. F. David Peat holds a Ph.D. in theoretical physics and is deeply interested in the relationships between science, creativity, art, and culture. He worked with the late quantum physicist David Bohm and is the author of many books on science and our relation to the world including The Blackwinged Night, Synchronicity, and Science, Order, and Creativity (with David Bohm). Peat lives in Italy where he is the founder of the Pari Center for New Learning.